2) They’re very expensive, ranging from $1,500 – 2,000 per veneer. 2) They’re much more affordable, as they are even less expensive than InvisalignTM, for example. With no further ado, let me introduce Jeremy, whose case we just finished today. 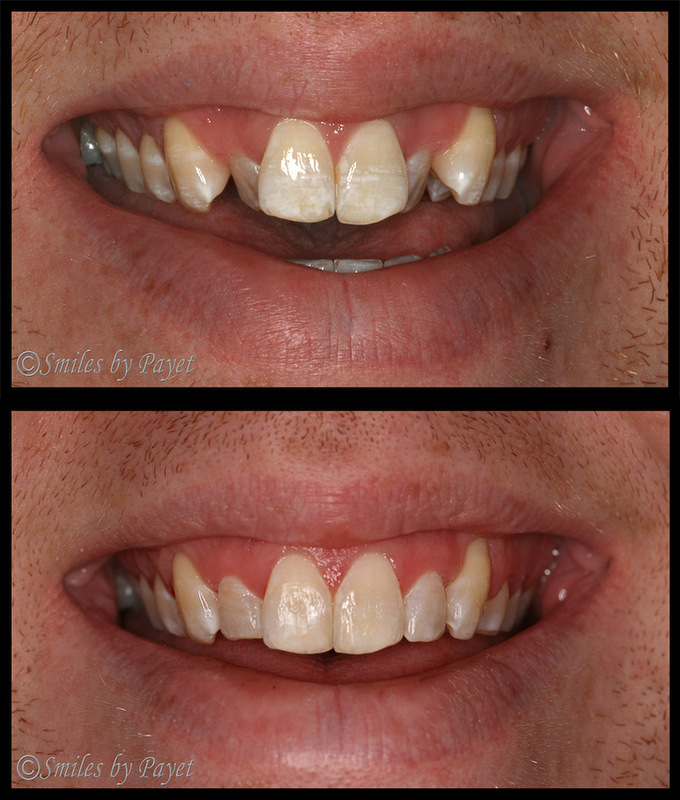 He plans on whitening his teeth in 2009 to complete his Smile Makeover. And please keep in mind: We achieved this result for Jeremy in only FOUR MONTHS! Needless to say, he was a very happy camper when we took off the brackets today. Wouldn’t you be, too?